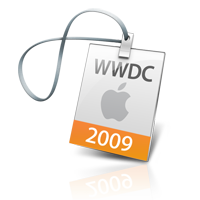 I will be speaking at the iPhone Developers Conference 360|iDev in Austin, TX being held November 7 – 10, 2010. 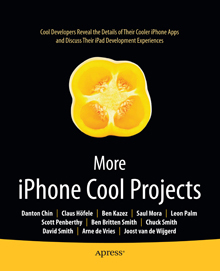 I will be speaking on Concurrency with GCD and Blocks and I’ll be giving away five copies of More iPhone Cool Projects at various points during my talk so I hope I’ll see you there! 360|iDev is always a great conference and is the only conference in which pre-conference training is included in the price. And there are over 40 sessions covering topics ranging from Advanced Debugging, The Power of In App Purchase, Core Data Performance Tuning to name just a few. 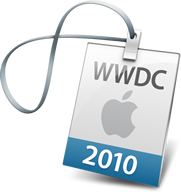 I’m also looking forward to meeting fellow developers there and hearing David Whatley, Mike Lee, and Jessica Kahn give their keynote presentations on iOS development. David Whatley started two gaming companies and has spoken at 360iDev a number of times. His talks are always riveting and if you’re just charged up about iOS development he’ll kick you into hyperdrive! Check out the interview by TUAW of David Whatley after 360iDev San Jose in April 2010. Mike Lee is another riveting, well-known speaker on iOS development. And Jessica Kahn as Vice President of Engineering at Tapulous is sure to provide special insightful gems on iOS development. So if you haven’t registered yet now is a good time to register for 360|iDev! ~ by Danton on November 1, 2010.